Delaware, Maryland, District of Columbia, Virginia, West Virginia, North Carolina, South Carolina, Georgia, and Florida. All images below should be links to the referenced site. At this point, I have listed all the groups I could find. If you know of any others, please let me know. 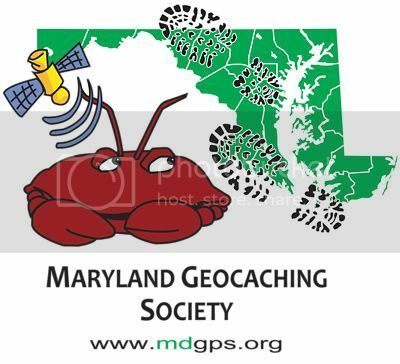 Joining the Maryland Geocaching Society is easy! Simply sign up in our forums (click “Register” at the top left of the page), and begin interacting with everyone by participating in the discussion. That’s it! There’s no fee, and each person in your team (if there is more than one) is automatically a member. Membership is open to all ages and it doesn’t matter whether you live in Maryland or not. If you have any other questions about membership, feel free to ask in the forums, or read sections III and IV of our Bylaws. The Northern Virginia Geocaching Association (NoVAGO) is a group of Northern Virginia geocachers who are committed to promoting safe, responsible, and environmentally friendly geocaching. We welcome the involvement and cooperation of park management and government to work with us in the development of this activity both to benefit both geocachers and parks alike. The NoVAGO also provides a way for people to come together to organize regional activities and events (see the Event Calendar) that will promote the credibility of the sport and bring families together in an outdoor environment. Please spend some time on our site. Fredericksburg Geocachers is for those in the Fredericksburg, Virginia and surrounding area who love to Geocache. It is a great way for cachers to keep in touch as well as seek advice. This group is moderated to help prevent spamming. Geocachingde is an on-line "meeting place" for the Delaware Geocachers group. Of course, everyone is welcome here. We hope you like what you see and will consider becoming a member of Delaware Geocachers. Delaware Geocachers got its start in the summer of 2003 when a geocacher with the username of Howie hosted a gathering at the Lum's Pond State Park. That day's activities led to the formation of a group of like-minded geocachers who were interested in helping this new sport catch hold and thrive in Delaware. Currently the group is headed by Mike Ott. The goal of this site is to have the latest happenings of the SCGA and caching in South Carolina. It's easy to become a member of the SCGA. Just keep an eye on the South Carolina page on geocaching.com and also below and watch for upcoming SCGA sponsored events/CITO's and attend one. It's that simple! There aren't even any dues! The Coosa Valley Cachers are based in Northwest Georgia and Northeast Alabama. The general purpose of Space Coast Geocachers is to promote the sport of Geocaching on the Space Coast. The Northeast Florida Geocachers Association promotes the sport of geocaching, educates new and continuing members in the sport and provides fun, creative and educational "event caches". The NEFGA is a central place for the sharing of geocaching-related information for Northeast Florida.